Antenna Systems Solutions (ASYSOL), a Celestia Technologies Group company, operates at the heart of the Antenna design and measurement industry addressing the Defence, Government, Aerospace and academic markets. 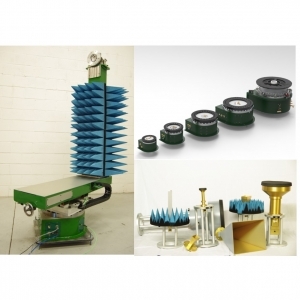 Products include Antenna Measurement Systems, Positioners and Controllers, Antenna Design and Simulation, Far-field Measurement Systems, Near-Field Measurement Systems, Compact Antenna Test Ranges, Standard Gain Horns, Near-Field Probes, Anechoic Chambers, and RF Systems. Microsemi Time and Frequency Instrument provides unprecedented synchronization flexibility and performance. Included in the portfolio is Masers, Cesiums, Rubidiums, GPS Time and Frequency Systems as well as Distribution systems. Microsemi designs for modern electronics systems and networks that require best-in-class synchronization performance easily adaptable to a wide range of applications. The S650 GPS Time and Frequency System offers a Timing I/O module with eight BNC connectors standard with the most popular timing I/O signals (IRIG B, 10 MHz, 1PPS and so on). 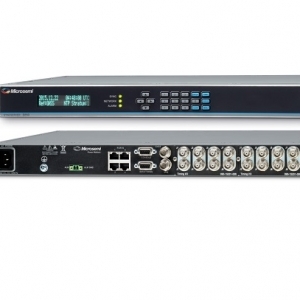 When more flexibility is required, the unique Microsemi FlexPort Technology option enables six of the BNCs to output any supported signal (time codes, sine waves, programmable rates), all configurable in real time via the secure web interface. The incredible BNC-by-BNC configurations makes very efficient and cost-effective use of the 1U space available. Noise XT is a high technology company, the phase noise measurements performance leader, which provide instruments, solutions and services for phase noise analysis, pure frequency generation and «pulse to pulse» phase and amplitude stability analysis. Noise XT designs, develops, manufactures and markets solutions for telecom, defense, space, geopositioning and metrology markets. Our solutions are specially dedicated to high spectral purity testing, low phase noise generation and measurement products for automated test system and laboratory. With over 25 years of continuous innovation in low noise frequency synthesis and measurement techniques, our Research and Development IP library allow us to provide you the ultimate performance. Procitec’s product line 'go2SIGNALS’ offers ready-to-use,‘off-the-shelf’ available and freely configurable software products perfectly matched to Monitor, Decode, Analyse, search for and process complex communications HF and V/UHF signals. These powerful software solutions allow the user to adapt and automate their signal monitoring requirements, to handle the increasing density of signal scenarios and staying up to date with the current technologies. 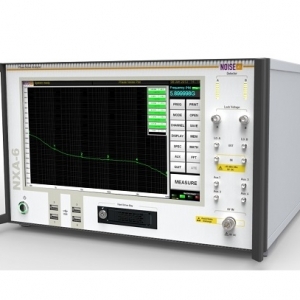 GW Instek offer a broad range of Test equipment which includes RF Spectrum Analysers. With a strong focus on high quality, economical measurement solutions for the educational and industrial manufacturing markets, GW Instek has developed a solid brand image and reputation for reliability, integrity and innovation. 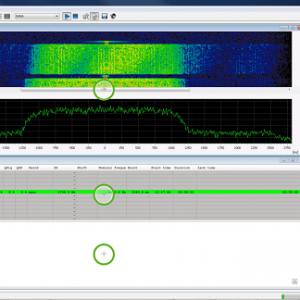 Narda are an established brand when it comes to RF and Microwave Radiation and Spectrum safety analysis with a long standing reputation for quality. 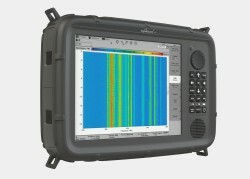 Narda offer their state of the art SignalShark Signal Analyser, Interference Directional Analyser and Remote Spectrum Analyser, encapsulating a reputation for leading technology and reliability in this marketplace. Stanford Research has been developing premium test equipment since 1980. Their product range includes Scientific, Test Equipment, Time & Frequency and Analytical. The Model SG380 Series RF Signal Generators which has a Frequency Range to 8GHz the Model CG635 2 GHz Synthesized Clock Generator and the Model SG390 6GHz Vector Signal Generator form part of the RF & Microwave Test Equipment at a price point that is the most economical in the industry. Vectawave Technology is a manufacturer of robust, air cooled, class A power amplifiers for use in industrial, military and medical applications. Vectawave's RF & Microwave Broadband Power Amplifiers are available with frequency ranges from 10kHz to 6GHz and power levels up to 2kW. Vectawave is accredited to ISO9001 for design and manufacture.